Both sides of this were originally released on Pama’s Nu Beat label. Reggae 69 was on the flip of Suffering Still and Big Fight… was the reverse side of Lawd Doctor. 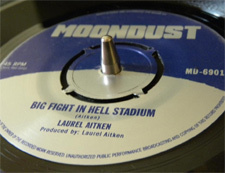 Big Fight… was originally credited to Laurel Aitken and Girlie but this is Laurel on his own. Skinhead Invasion was first put out on a blank issue only Nu Beat single and Moon Rock was issued on Bamboo, again on a white label only. Moondust have a strong 1969 skinhead aesthetic which runs through the music they are releasing, the retro label design that looks like something from the heyday of Trojan and Pama, right through to the old school push out centres on the singles (it seems like an age since singles were pressed like this). 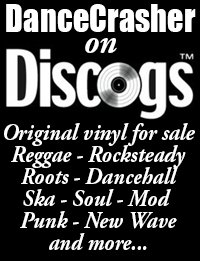 Alongside the Laurel Aitken re-issues they have released a series of singles from modern bands playing in a “skinhead reggae” style, though the best of these, People Need People by a band called the Irie Beats, sounds several years ahead of this self imposed retro period. Moondust are promising more reissues in future alongside the new releases.